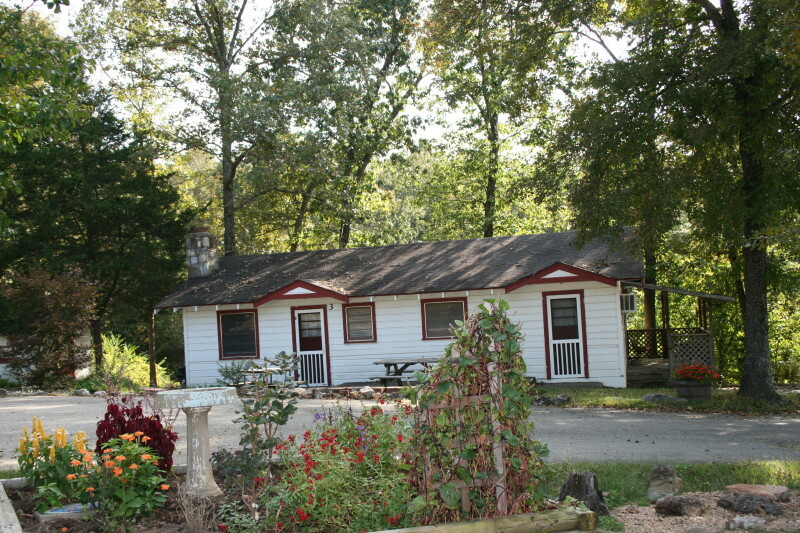 Cabin 3 will accommodate up to 13 people. 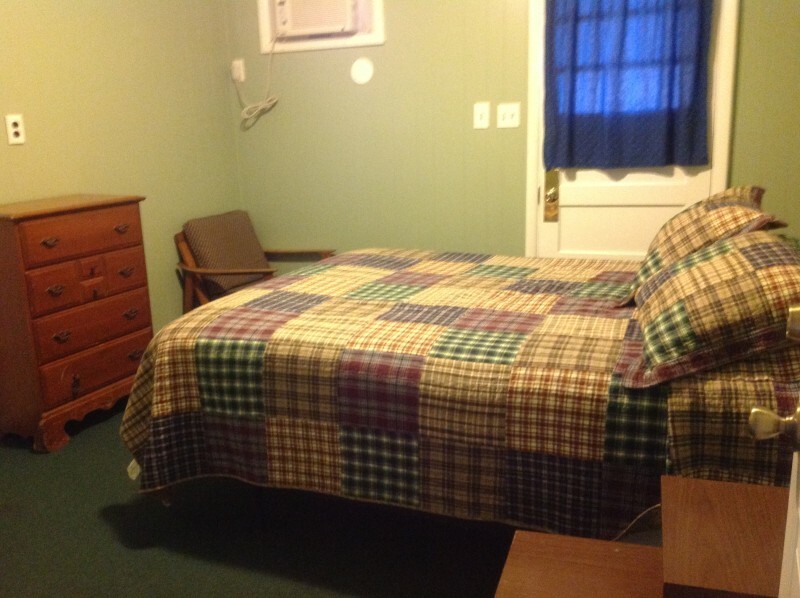 In each of 2 bedrooms there is one queen bed, the third bedroom has 3 full sized beds and a wall mounted flat screen tv. The living room is furnished with 2 sleeper sofas and a loveseat. A large flat screen tv makes viewing easy for all. The dining room has a butterfly table that will seat 8. 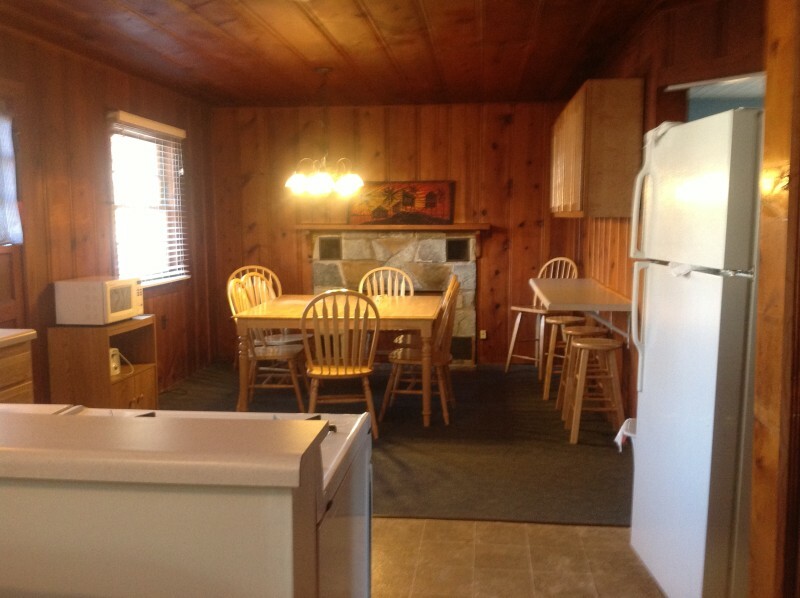 Additional meal space is available at the breakfast counter. 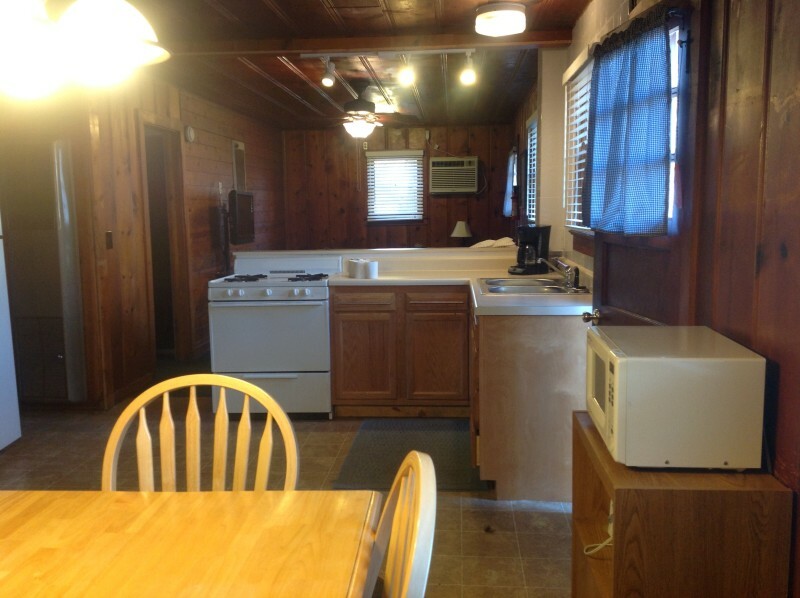 This cabin has AC, heat, a ceiling fan, WIFI, a covered porch, parking for several cars and 2 picnic tables and grills.